[dropcap]W[/dropcap]hat makes Billy Wilder’s Double Indemnity the greatest film noir? First, and this is veering away from the text of the film itself for just a moment, Double Indemnity is significant for the very reason that it was amongst the films that originally inspired the French critics to coin the phrase. 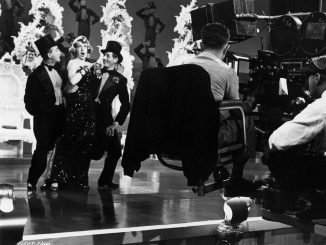 Throughout World War II, American films were not allowed to screen in the occupied country. In 1946, the floodgates opened and the simultaneous releases of John Huston’s The Maltese Falcon (1941), Edward Dmytryk’s Murder, My Sweet (1944), Fritz Lang’s The Woman in the Window (1944), Otto Preminger’s Laura (1946), and Wilder’s film hit the Parisian cinemas over the course of one summer. While the other films, with the exception of Laura, are inarguably noir, I would tend to agree with historian Eddie Muller’s proclamation that Double Indemnity is the quintessential film noir. Wilder’s film contains nearly every trope of the genre that you can think of: the femme fatale, existential fatalism, murder, the threat of feminine sexuality, hardboiled style, and an aesthetic drawn from German expressionism. While many of the other films in this retrospective contain several of these characteristics, Indemnity could, with perhaps the exception of Kubrick’s The Killing (1956), best them all on the paradigmatic noir balance sheet. 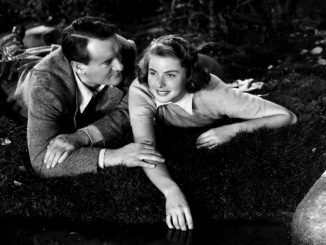 Secondly, due to the film’s perfect assimilation of these elements, it refined and stabilized the mold for noirs to come. In fact, the cinematic legacy of Indemnity is so pivotal to the genre that the film has been paid homage in such successful neo-noirs as Lawrence Kasdan’s Body Heat (1981) and the Coen Brothers’ The Man Who Wasn’t There (2001). If my statement that Double Indemnity is a paradigmatic noir will find any critics, it would probably be due to the fact that the film does not include a detective. Yet, the characters of Keyes and Neff both function as detectives. They both find themselves interpreting the evidence of Mr. Deitrichson’s death/murder. Yet, they both do so in a way that serves their own motives: Keyes wants to get the bottom of the case, as a traditional detective would, while Neff wants to re-route Keyes’ interpretive train of thought with the same evidence. Moreover, as film scholar Thomas Schatz has noted, Wilder and Chandler’s re-structuring of Cain’s novella (which was originally relayed in a linear fashion) onto a flashback structure “transforms the film into a detective story.” Yet, a noir is not quite the same as a detective story. While noirs often include detectives (official government officers or private investigators) as characters, a key characteristic of the genre is that it often pushes the viewer to identify with a character who is going through the process of becoming morally corrupted. That is the role Neff plays in Indemnity and, as Schatz notes, Wilder accentuates it through the flashback structure. 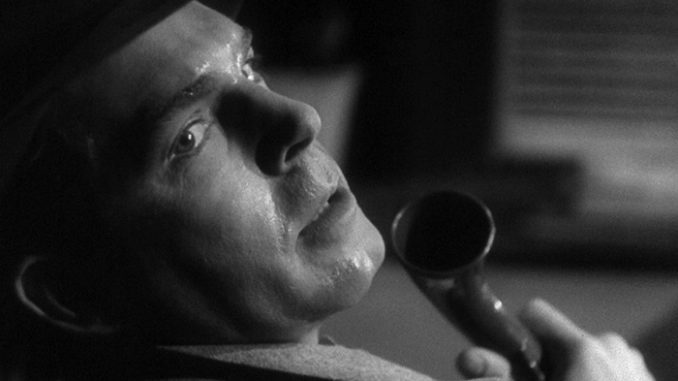 Wilder’s use of Neff and the flashback, which also relies on the noir device of voice-over narration, emphasizes the trope of existential fatalism that we also found in Kubrick’s The Killing. Wilder begins the film with a car racing down the night soaked streets of Los Angeles. As the sequence progresses, we watch as Neff arrives at the insurance agency and begins to deliver his tale into Keyes’s Dictaphone. We see that he has been shot and he essentially delivers the climax of the film to the audience: “I killed Dietrichson. Me, Walter Neff, insurance agent, 35 years old, unmarried, no visible scars…until a little while ago, that is…I killed him for money and a woman and I didn’t get the money and I didn’t get the woman.” By structuring the narrative in such a way, Wilder undermines the outcome of the crime and plot in favor of providing Neff with the opportunity to assert his existence the only way he truly can: by taking command of the story. In doing so, Wilder pushes us down the path with Neff of coming to the realization of not who or what did him wrong but where he went wrong. While Double Indemnity holds a substantial legacy for uniting many of the narrative and thematic tropes of the film noir genre, it also helped solidify the aesthetic (thanks to cinematography John Seitz) that would be taken to extremes by Carol Reed in The Third Man and Welles in Touch of Evil. Janey Place and Lowell Peterson visual analysis “Some Visual Motifs of Film Noir” is helpful here, as they create a taxonomy of visual characteristics exemplified in the genre ranging from low-key lighting, greater depth of field, and the “antitraditional” use of mise en scène. Indemnity contributes two key conventions of noir iconography. These additions, which would fall within the realms of Place and Peterson’s definition of “antitraditional” mise en scène, are the film’s extensive use of Venetian blinds and the use of a prop to symbolize sexual fascination (exemplified here by Phyllis’ anklet). In a nutshell, what makes Wilder’s film the number one noir is that it set the trend; perfected the formula. While films as disparate as Fritz Lang’s M (1931), Orson Welles’s Citizen Kane (1941), and Huston’s The Maltese Falcon all exhibit characteristics of noir, Double Indemnity was one of the first films to weave all those characteristics together. 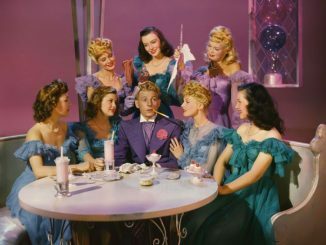 Wilder was one of the European directors that noir is so often associated with and he would, like fellow émigré Lang, produce additional films in the genre. Yet, neither Sunset Blvd. (1950) nor Ace in the Hole (1951) come close to the significance of Indemnity in the noir canon (I love Sunset, but it’s essentially a critique of Hollywood done in the noir aesthetic which nearly disqualifies it as a proper member of the noir genre). Double Indemnity is the quintessential noir– accept no substitutes. Newly released on a 70th Anniversary Blu-ray from Universal with a restored audiovisual presentation, Double Indemnity has never looked or sounded better. If I could describe the dark and smooth transfer (albeit not waxy), I’d use the word “silky.” While it may not have the robust grain texture as the UK release which – according to our friends at DVDBeaver – probably utilized different elements, it has more of a noir vibe than the noticeably lighter transfer. Take a look at DVDBeaver’s screenshots to help guide your decision, but they’re both strong packages. Extra features are duplicated from the 2-disc DVD set from approximately ten years ago. We get a fantastic commentary by UK scholar Nick Redman and screenwriter Lem Dobbs (The Limey, Haywire) that trumps the second commentary by Richard Schickel purely because of the energy the Dobbs brings to the conversation (Schickel is always a little too dry in his delivery for me and a bit too “Captain Obvious”). We also are given a fantastic 40 minute documentary on the film featuring a range of film scholars (Eddie Muller, Vivian Sobchack, Drew Casper) and filmmakers (William Friedkin, James Ellroy). Rounding out the package is a theatrical trailer and the made-for-TV remake of the film (1973) starring Richard Crenna. Those familiar with the earlier set won’t find any additional surprises here, aside from a fantastic AV transfer.